When you're looking at new cars in Boulder Colorado, there are many good options to choose from. So of all the vehicles that you could possibly get, why buy the 2019 Subaru Outback in Boulder? This year's Outback has a number of enticing features that make it safe, fun to drive, and sportier than previous Outback models. This year's Outback gets more in the way of safety amenities than Outbacks before, and it also comes with more modernized technology. If you're curious to learn more about the 2019 Outback, or if you want to take one for a test drive, don't hesitate to contact the friendly and professional team at Flatirons Subaru by phone or online to help you find the right Subaru. 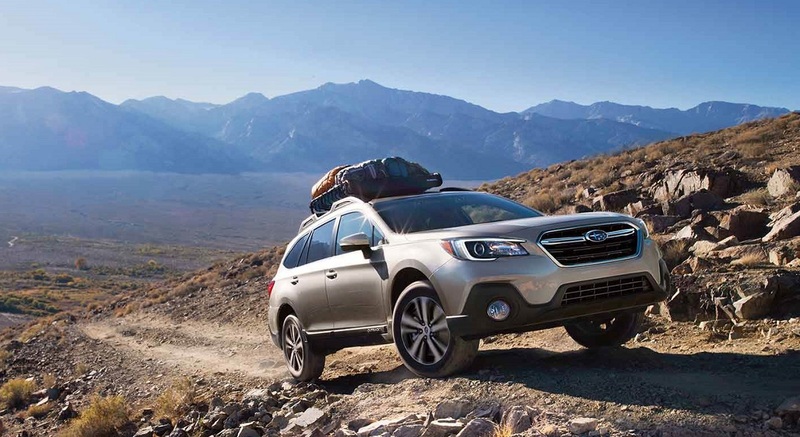 With a ground clearance of 8.7 inches, the 2019 Outback is capable of tackling just about any kind of off-road terrain around Boulder Colorado. 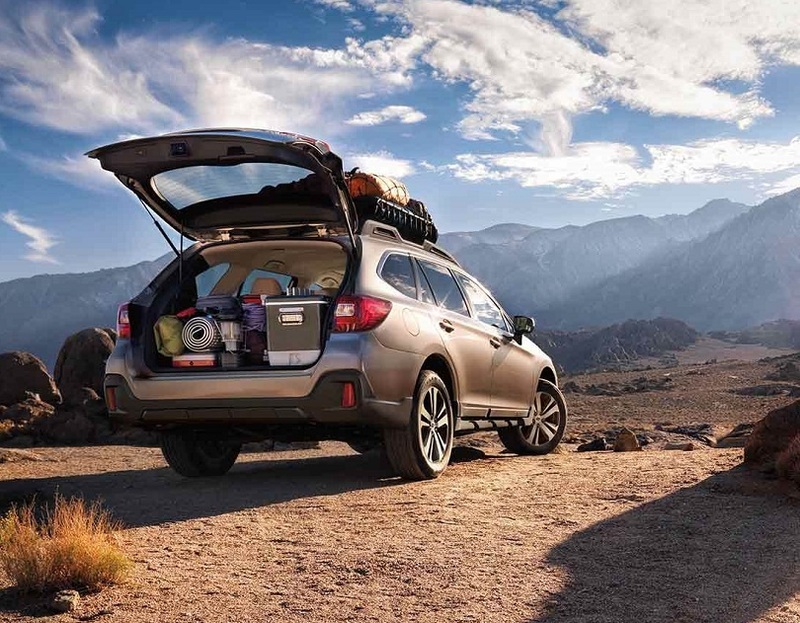 The base model of the 2019 Outback, called the 2.5i, comes with a variety of standard amenities including a roof rack with built-in crossbars that adapts to carry a variety of equipment, including skis, bikes, and kayaks. When not in use, you can simply stow the roof rails away. This year's Outback also has a rear window defroster to melt snow and ice from your car. Starting with the Premium trim, you'll also get a power-operated liftgate. 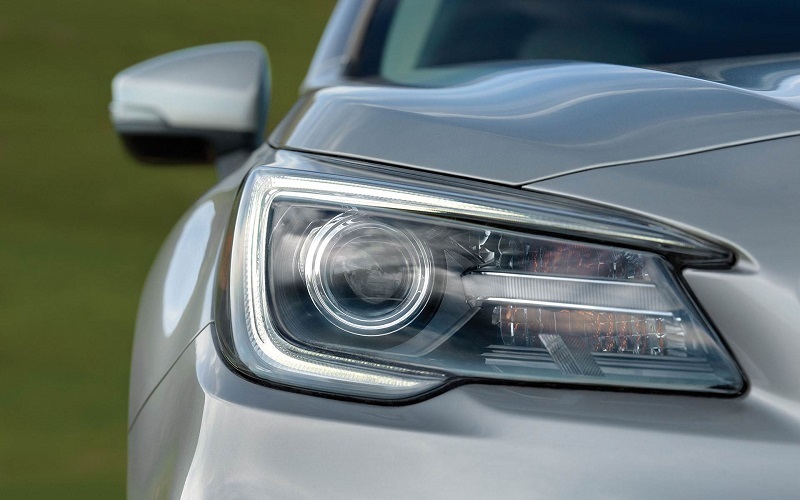 Steering-responsive LED headlights, which are standard on some trim levels and optional on others, make the Outback more visible throughout the day. On the inside, the 2019 Subaru Outback excels in the areas of aesthetics, safety, and comfort. This year, you can look forward to improved technology, which comes primarily in the form of a 6.5-inch standard infotainment display screen. This year, the infotainment screen in the base model comes standard with Apple CarPlay and Android Auto. In addition, the driver gets a separate instrument cluster that shows the car's performance on a five-inch LCD screen. 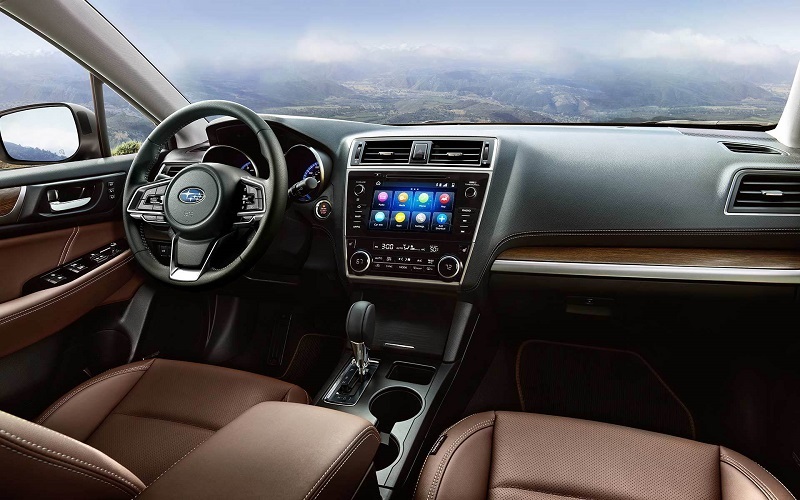 Staying connected is easier than ever in the 2019 Subaru Outback, which you can see for yourself in Boulder Colorado, thanks to two standard USB charging ports. Moving up to the 2.5i Premium, you'll get a larger eight-inch infotainment display screen with optional navigation. The 2019 Outback makes it easier than ever to enjoy your favorite tunes with an improved sound system that includes a CD player and satellite radio. These features are standard on the base model. Progressing to the 2.5i Limited, you'll get an even more sophisticated Harman Kardon audio system with a subwoofer and 12 speakers. Depending on the trim level, you can get sophisticated features such as a leather-wrapped steering wheel, a leather-wrapped shift knob, and leather seats. 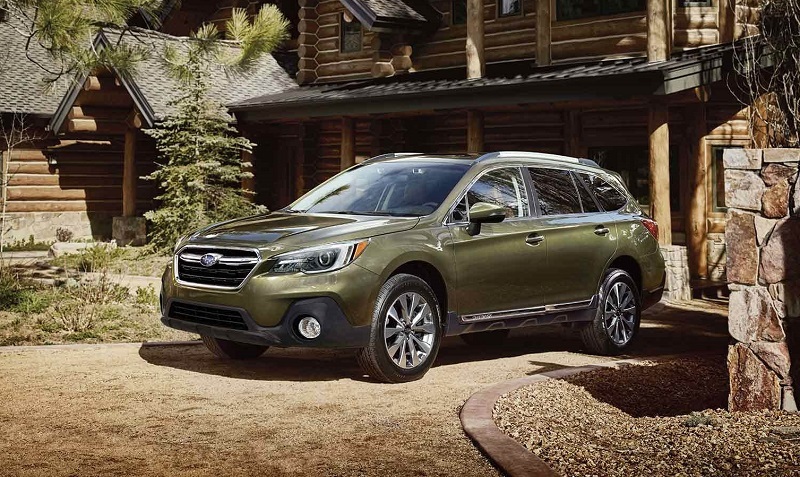 The 2019 Outback is powered by one of several engines, depending on the trim level that you get. Standard on the 2.5i, the Premium, and the Limited are a 2.5L, four-cylinder engine that is paired with an automatic transmission system. This engine produces a maximum of 175 HP and 174 LB-FT of torque. The second engine, which is standard on the 3.6 Limited and the Touring trims, is a 3.6L, six-cylinder engine that generates up to 256 HP and up to 247 LB-FT of torque. If you want to maximize your car's fuel economy, ask the staff at Flatirons Subaru near Longmont Thornton Denver about a Partial Zero Emission Vehicle upgrade, which is offered exclusively on the 2.5L engine. If safety is a priority for you, why buy the 2019 Outback? This year, for the first time, the Outback is equipped with a modern, novel package of safety features that are collectively called the "EyeSight"safety package. The driver-assist amenities in this safety package, including lane-keep assist, radar-activated cruise control, and automatic forward collision warning and braking, which brings the car to a full stop if necessary, are highlights of the standard safety features in the 2019 Subaru Outback in Boulder Colorado. For all the safety amenities that it offers, this Outback earned a five-star safety rating in 2018, and it looks to do the same in 2019 with more standard safety components than ever. Getting a new car is an exciting opportunity for many people. But the price tag attached to it can also seem prohibitive. Fortunately, you can ask the staff at Flatirons Subaru about options for reducing the cost of the car, including possible specials. When you call or stop in to inquire about the latest Outback, you can also get a quote from the dealership to find out how much your preferred trim level might cost. This is also a good chance to find out about doing a trade-in for your car. The financial specialists at Flatirons near Longmont Thornton Denver are eager to help you get both a car that you want and a price that you want. By this point, you probably don't need much convincing that the 2019 Subaru Outback in Boulder, which you can inquire about at Flatirons near Longmont Thornton Denver, is a good car to get. If you're asking yourself "why buy this car instead of another? ", you can answer that question with the fact that it is a safe car that is capable of traveling on all your off-road adventures. The 2019 Subaru features new and exciting design changes, such as a higher ground clearance and retractable roof rails, that are designed to make your life easier. So when you're ready to take the 2019 Subaru Outback for a spin in Boulder Colorado, don't hesitate to contact the staff at Flatirons.